Animal Kingdom Playground Rentals | ChrisAllyEventsandCatering.co Woodstock GA.
One of our newest additions is the Animal Kingdom Play Land. It is low to the ground so the little ones can easily climb in. 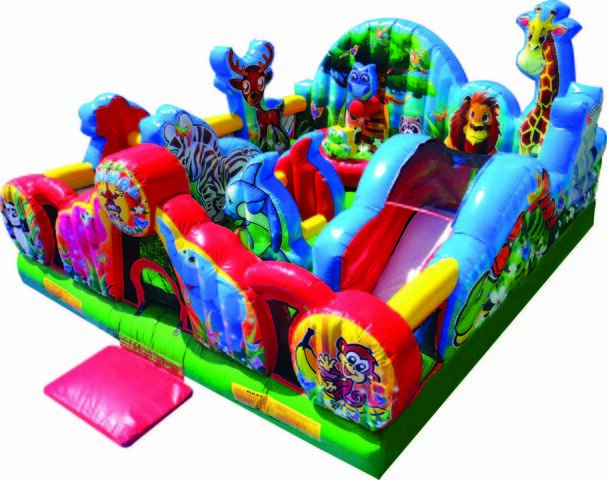 It has mini slides and climbs, pop-ups, and plenty of room for up to 10 children ages 2-5, to play and bounce. Great graphics make this interactive inflatable have that WOW factor for your next party rental.